Get the beach body you’ve always craved with the help of Shakeology. Whether you’re looking for a full meal replacement system, protein shakes to supplement your workout routine, or snack alternatives to curb your hunger and support your diet, Shakeology’s superfood blend will fuel your body with healthy nutrients to get you to your fitness goal. Shakeology is a powerful tool to help you lose weight and lower cholesterol and blood sugar levels that tastes great and doesn’t leave you feeling hungry or tired. We’ll help you start the 21 Day Shakeology Challenge with a free international shipping quote today. When you drink Shakeology, you know you’re feeding your body well. 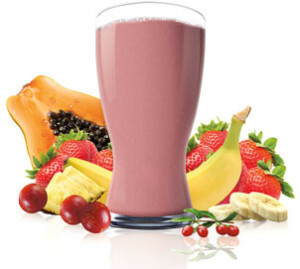 Each shake is packed with more than 70 ingredients that target different health benefits. Protein helps curb food cravings and give you energy, while fiber and probiotics encourage healthy digestion. Antioxidants, vitamins, and minerals flush out toxins and boost your immune system as adaptogen herbs counterbalance the adverse physical affects of stress. All ingredients are derived from natural superfoods or superfruits, so the benefits are endless. Shakeology isn’t your average, chalky, protein shake. The drink comes in four traditional flavors (chocolate, vanilla, strawberry and greenberry) and two specialty vegan blends (chocolate vegan and tropical strawberry vegan). If you want to add an extra kick of vitamins or flavor to your shake, blend in fresh, natural ingredients such as fruit, peanut butter, or chia seeds. If you need a little inspiration, the website offers delicious recipes, or try one of our favorite blogger’s recommendations. Shakeology fans are proud to show off their beach bodies and tell their stories. Customers and other fitness providers are amazed by the results. Beachbody® is one of the leading fitness program providers in the world, bringing you results-driven fitness programs such as P90X® and INSANITY® workouts. Their loyal customers consistently rate Shakeology as a five-star product that tastes great and delivers results. Meal Replacement Shake Reviews (MRS) also gives Shakeology a top rating for their hunger blockers, nutritional value, and taste. We believe good health and fitness should be available to everyone, so Big Apple Buddy wants to bring Shakeology to you with our fast, convenient international shipping. We ship to over 220 countries around the world, including Singapore, Australia, Hong Kong, Germany, New Zealand, South Africa, UK, Italy, Brazil, and the UAE. If you are interested in buying Shakeology for international shipping, simply contact us for a free shipping quote!